After the reveals of the new Nvidia GeForce GTX 550 Ti graphic card on the recent forceware driver version 266.7x, the release date and performance compared with the AMD Radeon HD 5770 also leaked. The Nvidia GeForce GTX 550 Ti is a mainstream GPU based on the new GF116 chipset will be connected with 1GB GDDR5 memory and expected to launch on the next March 15 , the GeForce GTX 550 Ti should have the same PCB as the one on the GeForce GTX 550 and a TDP close to 110W. "Like the GF106, the GF116 will come with one 64-bit memory controller (out of three) disabled to form a 128-bit memory bus. The PCB will have a total of 12 pads, but only eight will be populated to provide 1GB of GDDR5 memory." 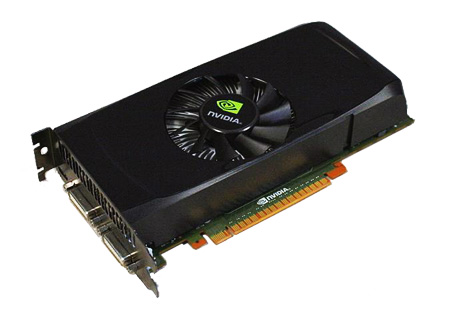 The card include dual-link DVI-I ports and one mini HDMI port for display output , and the price tag for the GeForce GTX 550 Ti is estimated to be at US$200 mark.